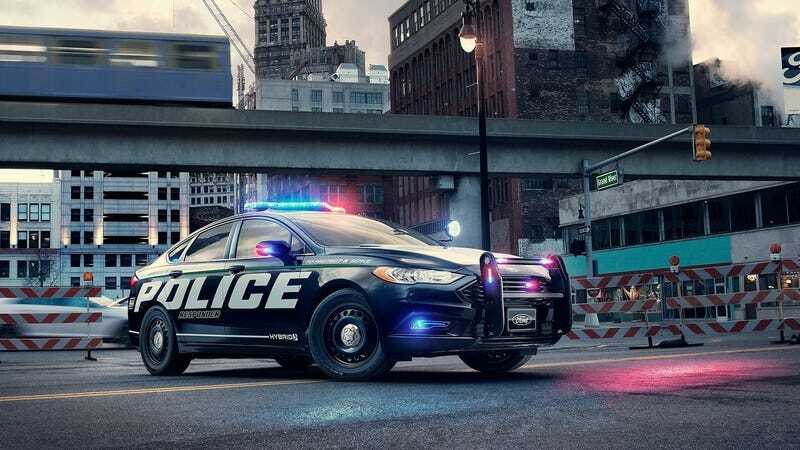 By 2020, automakers will be required to ensure their hybrid and all-electric vehicles emit some noise when cruising under 19 miles per hour, but Ford is hoping to get an exemption to the rule for the police cruises it makes, according to The Verge. Ford has created specific safety features for its law enforcement vehicles in the past, and it outfits these cars and SUVs in special ways so that they’re better suited for the needs of police or security services around the country. What’s funny is, thanks to the expert sleuthing by O’Kane, NHTSA had to fess up that Ford’s request was “inadvertently left in” the final text of the rule. Ford submitted its request after the public comment period ended (in October 2015), and the NHTSA says it ultimately decided that “addressing the late comment would delay issuing the notice.” That Ford’s request was mentioned at all was actually a mistake.